There is a paucity of details concerning the alleged CW activity in Manp'o. None of the known chemical products at the Manp'o Chemical Factory is directly related to standard CW agent manufacture. Kim Wŏn Pong, Kitachosenjimingun no zenbo (Tokyo: Ariadone Kikaku, 1996), p. 127. Osamu Eya, Kimu Jon Iru Daizukan (Tokyo: Shogakkan, 2000), p. 65. Osamu Eya, Kimu Jon Iru Daizukan (Tokyo: Shogakkan, 2000), pp. 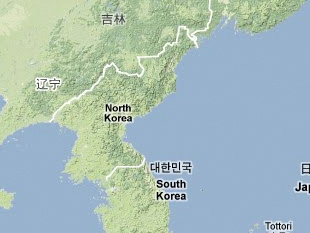 64-65, in "Alleged Locations of DPRK Nuclear, Biological, Chemical Warfare Facilities Mapped," 6 June 2001, FBIS Document ID: KPP20010606000075.